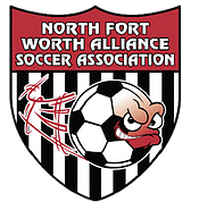 We are a new soccer club/academy serving the Alliance, Keller, and Fort Worth Area. The main focus is to provide full developmental support to all players in an effort to prepare them for competition at any and every level. Texas Alliance Soccer Club was designed with the individual player in mind, as we seek to help every individual player reach their own personalized goals through furthered development in the sport of soccer.